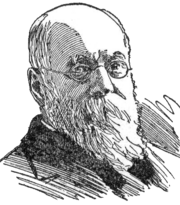 Charles Anderson Dana (August 8, 1819 – October 17, 1897) was an American journalist, author, and government official. Dana was in many ways the most brilliant journalist in the country during much of his life. He had a brilliant intellect, a finished and incisive style, and a gift for mordant irony. He thoroughly understood every detail of the art of making a good daily newspaper. Dana was best known for his association with Ulysses S. Grant during the American Civil War and his aggressive political advocacy after the American Civil War. Dana spent months with Grant on the field of battle. The close association aided him to not only divert the Lincoln Adminstration's fear of Grant's habits, Dana was instrumental in causing Grant to be placed at the head of all the Union armies, prosecuting a swift end to the civil war. Dana was born at Hinsdale, New Hampshire. He spent his childhood in Buffalo, at age 12 he became a clerk in his uncle's general store, which failed in 1837. When Dana was 18, he entered Harvard in 1839, but after two years a serious trouble with his eyesight caused him to leave. He received an honorable dismissal and later was awarded a bachelor's and master's degree. From September, 1841 until March, 1846 he lived at Brook Farm, where he was made one of the trustees of the farm. He was head waiter when the farm became a Fourierite phalanx (commune), and was in charge of the phalanstery's finances when its buildings were burned in 1846. Brook Farm was a transcendentalist Utopian experiment, was put into practice by transcendentalist and former Unitarian minister George Ripley and his wife Sophia Ripley at a farm in West Roxbury, Massachusetts, at that time nine miles from Boston. The community, in operation from 1841 to 1847, was inspired by the socialist concepts of Charles Fourier. Fourierism was the belief that there could be a utopian society where people could share together to have a better lifestyle. It was based on the concept of self-reliance, which powers much of the utopian movement and by people who rejected civilization and its injustices and desired to be secluded. The actual farm they lived on was influential to many writers like Henry David Thoreau and Nathaniel Hawthorne, who was a founding member of Brook Farm and presented a fictionalized portrait of it in his novel, The Blithedale Romance. The Brook Farm utopia was intended to rely on agriculture. Residents of Brook Farm started every morning being awoken at 4:30 a.m. to tend to their agricultural chores. The community did not believe in social class and, as part of their commitment to communal living, all residents ate together and worked together. They hoped to set an example for the rest of the world to follow. Agriculture was never very successful at Brook Farm, which was sited on land not very suitable for it. Brook Farm also was an educational enterprise, and ran schools at all levels from primary to preparation for college. These were the financially profitable part of Brook Farm's operations. Dana had written for and managed the Harbinger, the Brook Farm publication, and had written as early as 1844 for the Boston publication Chronotype. In 1847, he joined the staff of the New York Tribune, and in 1848 he went to Europe as a correspondent and wrote letters to the Tribune and other newspapers on the revolutionary movements of that year. Returning to the Tribune in 1849, Dana became its managing editor, and actively promoted the abolitionist anti-slavery cause, seeming to shape the paper's policy at a time when the Tribune's editor in chief Horace Greeley was undecided and vacillating. The board of managers of the Tribune asked for Dana's resignation in 1862, apparently because of wide temperamental differences between Dana and Greeley. When Dana left the Tribune, Secretary of War Edwin Stanton immediately made him a special investigating agent of the War Department. In this capacity, Dana discovered frauds of quartermasters and contractors, and as the eyes of the administration, as Abraham Lincoln called him, he spent much time at the front lines of the civil war. Dana sent Stanton frequent reports concerning the capacity and methods of various generals in the field. In particular, the War Department was concerned about rumors of Ulysses S. Grant's alcoholism and Dana spent considerable time with him, becoming a close friend to Grant and assuaging the Lincoln administration's concerns. Dana went through the Vicksburg Campaign and was at Chickamauga and Chattanooga. Following this close experience with Grant, Dana urged Stanton to place General Grant in supreme command of all the Union armies in the field. Grant ascended to this position in March, 1864. 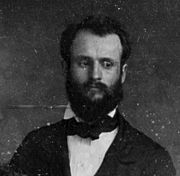 Dana became the Second Assistant Secretary of War from 1864 to 1865. From 1865 – 1866, Dana conducted the newly established and unsuccessful Chicago newspaper Republican. He became the editor and part-owner of the New York Sun in 1868, and remained in control of the Sun until his death in 1897. Under Dana's control, the Sun opposed the impeachment of President Andrew Johnson. It supported Grant for the presidency in 1868, but it was a sharp critic of Grant as president, and in 1872 took part in the Liberal Republican revolt and urged Greeley's nomination. The Sun came out in favor of Samuel J. Tilden, and endorsed the Democratic candidate for the presidency in 1876. The Sun opposed the Electoral Commission, and continually referred to the winner of the 1876 presidential election, Rutherford B. Hayes, as the "fraud president." In 1884, it supported Benjamin Franklin Butler, the candidate of Greenback-Labor and Anti-Monopolist parties, for president, and opposed the Republican candidate James G. Blaine and even more stridently the Democrat Grover Cleveland . The Sun supported Cleveland and opposed Benjamin Harrison in 1888. Although it criticized Cleveland's first administration, and was to criticize nearly every detail of his second, the Sun supported the Federal interference in the Pullman strike of 1894; in 1896, the free silver issue, it opposed William Jennings Bryan, the Democratic candidate for the presidency. Dana's literary style came to be the style of the New York Sun—simple, strong, clear, boiled down. The Art of Newspaper Making, containing three lectures that he wrote on journalism, was published in 1900. With George Ripley he edited The New American Cyclopaedia (1857–1863), reissued as the American Cyclopaedia in 1873–1876. He had excellent taste in the fine arts and edited an anthology, The Household Book of Poetry (1857). He held excellent linguistic skills and published several versions from the German, and read the Romance and Scandinavian languages. Dana was an art connoisseur and left a remarkable collection of Chinese porcelain. Dana's Reminiscences of the Civil War was published in 1898, as was his Eastern Journeys, Notes of Travel. He also edited A Campaign Life of U. S. Grant, published over his name and that of General James H. Wilson in 1868. Charles Anderson Dana was best known for his association with Ulysses S. Grant during the American Civil War and influencing Abraham Lincoln's secretary of war Edwin Stanton to promote Grant to supreme commander of all the Union armies. Dana's aggressive political advocacy after the civil war spared no political figure. Even Grant was subject to Dana's criticism of his abilities as President of the United States. Dana was in many ways the most brilliant journalist in the country during much of his life. He had a brilliant intellect, a finished and incisive style, and a gift for mordant irony. He thoroughly understood every detail of the art of making a good newspaper. Newspapers are an essential aspect of life in any free society, often functioning as what has been called a "fourth estate," or another branch of government in as much as they hold government, and public officials, to account. Dana remained in control of the editorial content of the New York Sun until his death, at 78, in 1897. Mr. Lincoln and New York: Charles A. Dana. History of "Charles Anderson Dana"
This page was last modified on 1 February 2017, at 20:09.